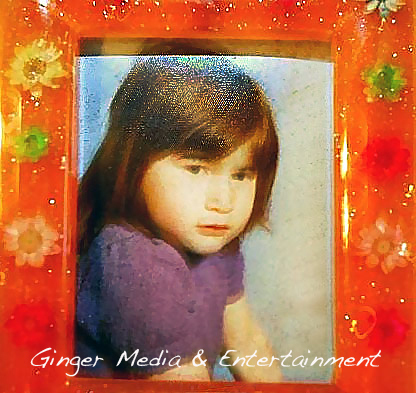 Hollywood based Ginger Media & Entertainment is a successful social media marketing and online PR boutique company for independent film, DVD and art, boasting clients in Hollywood, NYC, London, Australia and Canada. GM&E head, Ginger Liu, is a social media guru who has been at the forefront of the social media revolution. In late 2009 she was interviewed on national syndicated radio about her role in marketing independent films online. With one of the largest networks in the business, Ginger Liu lives and breaths the film industry in Hollywood and networks on a daily basis. As an entertainment journalist, she reports on movie box office, film festivals and screenings, including the Academy Awards. She has worked as an associate producer at a Hollywood production company, as a stills and event photographer, unit publicist and script reader. Ginger Liu consults on a regular basis to clients in the USA and UK. GM&E sets up social networks, posts 7 days a week, bookmarks and uses SEO and comments on forums and blogs to promote clients. The boutique specializes in independent film and budgets and uses organic one-on-one marketing through Twitter, Facebook and Linkedin with positive results combined with email marketing, press releases, content editing, pitching to multi-media press and the film community world wide. GM&E promotes clients 7 days a week and through it’s organic marketing successes has gained repeated and ongoing business. Women in Film International Shorts Program – marketing success. The Evolution of Andrew Andrews – repeated business – full house for festival screening and festival award. Prince of Swine – SOLD OUT screenings on 4 out of 7 Los Angeles screenings. Infection: The Invasion Begins – DVD SOLD OUT first week on Amazon. 9909 movie: Won two festival awards in NYC and reviewed in Variety. Angie Stone – Grammy nominated singer – successfully promoted world tour through social networks. SEO and bookmarking and network success proven by Google searches. Search for the above clients and Ginger Liu. Ginger Media & Entertainment also promotes Atlanta fashion sensation, PZI Jeans, in the USA and UK through social media – 7 days a week. Ginger Media & Entertainment was also the social media marketing director and consultant for LPA movingPictures and London Photographic Association – setting up of networks, attracting more than 1600 Twitter fans in half of 2010 and more than 1000 Facebook business fans, promoting and networking to filmmakers and photographers in London. Ginger Liu is currently in London consulting filmmakers and promoting artists for photo documentary project on London’s East End cinema and filmmakers. The start of 2011 sees Ginger Media & Entertainment promoting a Spanish, French and Italian independent film production from February, a Hollywood independent production eco-sci-fi feature, and Ginger Liu will be covering the Academy Awards in February. Ginger Liu has a BA (Hons) in Contemporary Media Practice (film, photography, media) from the prestigious University of Westminster in London.